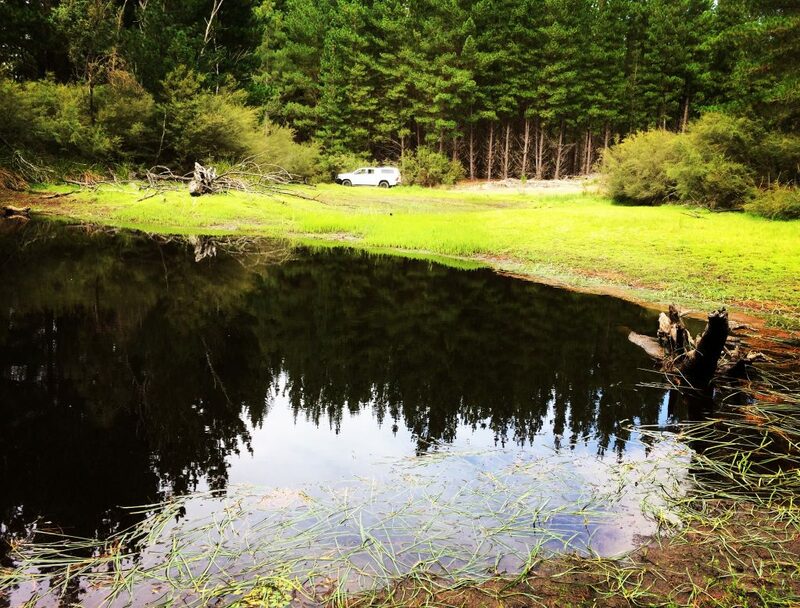 Providence Ponds, the Perry River and their tributaries are a type of waterway system known as ‘Chain of Ponds’. ‘Chain of Ponds’ systems were once common across South-eastern Australia but are now very rare. No fully intact ‘Chain of Ponds’ systems are known to currently exist. The ponds have been affected by historic land clearing, stock access, weeds, pest animals, erosion and excavation for use as dams. 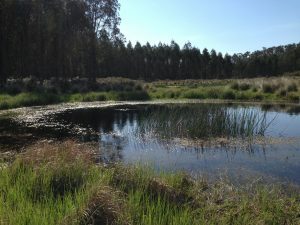 The Providence Ponds and Perry River catchment is unique as it contains one of the most intact system of ponds known in Victoria. 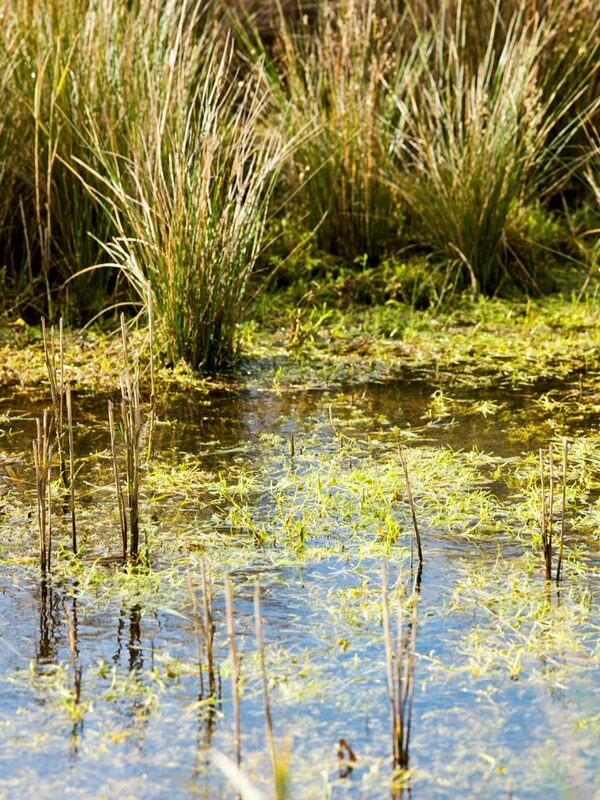 That’s why this project is all about Protecting our Ponds. 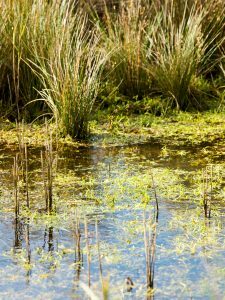 What is a Chain of Ponds? At first glance, a ‘chain of ponds’ waterway could look like a series of dams, yet they are more complex and interesting. They are a waterway system of irregularly spaced, often oval shaped ponds linked by shallow floodways. 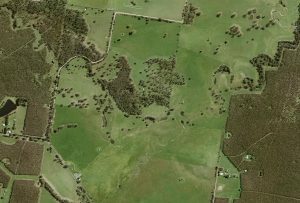 Chain of Ponds systems were once common across South-eastern Australia but are now very rare. No fully intact Chain of Ponds systems are known to currently exist as post-European changes in land use have resulted in a loss or modification of these waterways. 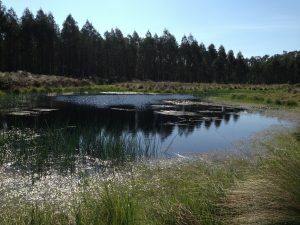 The Providence Ponds and Perry River catchment is unique as it contains sections of intact ponds, as well as ponds that are recovering from erosion. 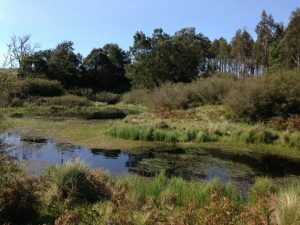 The catchment and its ponds are home to many threatened plant and animal species such as Dwarf Galaxias, Pygmy Perch, Green and Golden Bell Frog, Gaping Leek-orchid and Prostate Cone-bush. Why do they need protecting? 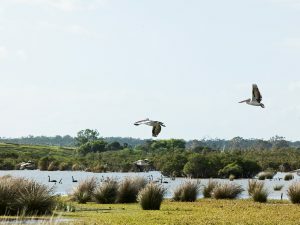 The Perry River catchment is identified as an area for priority attention in the West Gippsland Regional Catchment Strategy, as it contains these important and unique environmental features. We received $1.6 million of funding through the Victorian Government’s Our Catchments, Our Communities (OCOC) Program to undertake an integrated catchment management project in the Providence Ponds and Perry River catchment area over four years. 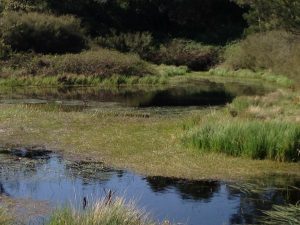 A Strategic Directions Statement was created in 2017 to help identify the most critical threats to the health of the ponds and priority areas for attention. It represents a shared understanding of the concerns of natural resource management agencies and members of the community. It represents long term priorities for managing the Providence Ponds and Perry River catchment. 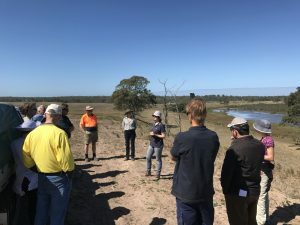 An implementation plan was then developed in collaboration with our delivery partners which include Trust for Nature, HVP Plantations, Wellington Shire Council, and Maffra and Districts Landcare Network. Sub-projects to be implemented by June 2020 were identified to help protect and rehabilitate the ponds. 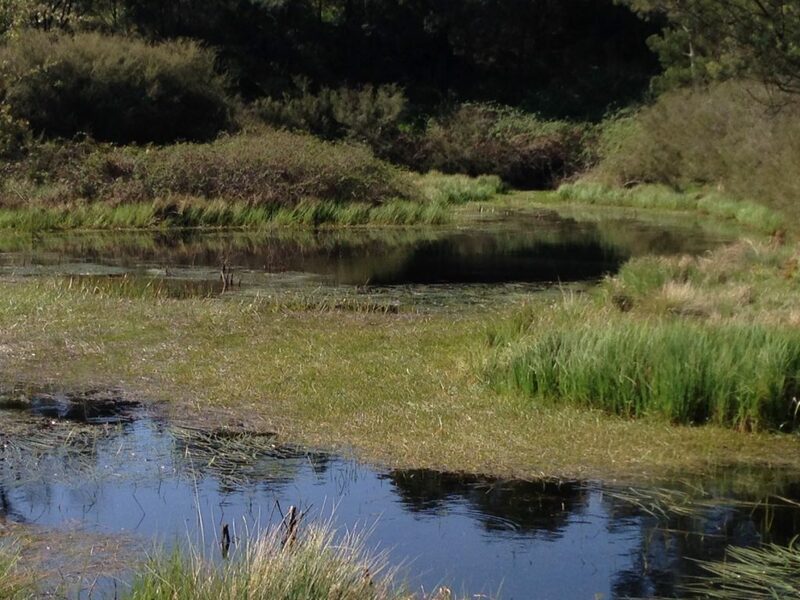 This project summary outlines some of the works that will take place as part of the Protecting Our Ponds project. establishing conservation covenants and fencing to exclude or manage stock where there is land manager support. Further information can be found in this highlights brochure. 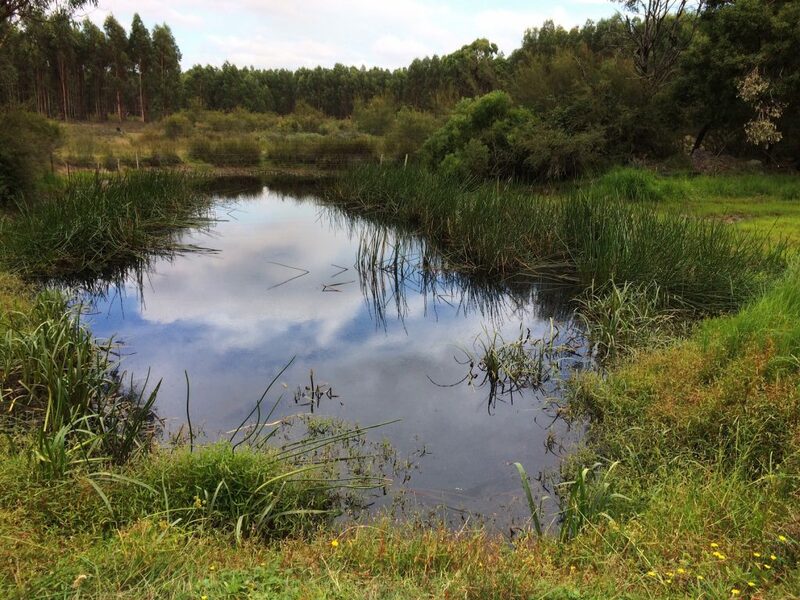 Our aim is to protect and rehabilitate the chain of ponds and improve habitat connectivity in the Providence Ponds and Perry River Catchment. This project is supported by us through funding from the Victorian Government’s Our Catchments, Our Communities Program. Our organisation was established by the state government in 1997 to manage land and water resources in the West Gippsland region. We take this role seriously and our aim as a leader in natural resource management is to inspire partnerships and action to achieve improved catchment health.